The best-known modern Chinese fairy tale is the story of three sisters from Shanghai, who for most of the twentieth century were at the centre of power in China. It was sometimes said that ‘One loved money, one loved power and one loved her country’, but there was far more to the Soong sisters than these caricatures. As China battled through a hundred years of wars, revolutions and seismic transformations, each sister played an important, sometimes critical role, and left an indelible mark on history. Red Sister, Ching-ling, married Sun Yat-sen, founding father of the Chinese republic, and later became Mao’s vice-chair. Little Sister, May-ling, was Madame Chiang Kai-shek, first lady of the pre-Communist Nationalist China and a major political figure in her own right. Big Sister, Ei-ling, was Chiang’s unofficial main adviser. She made herself one of China’s richest women – and her husband Chiang’s prime minister. All three sisters enjoyed tremendous privilege and glory, but also endured constant attacks and mortal danger. They showed great courage and experienced passionate love, as well as despair and heartbreak. The relationship between them was highly charged emotionally, especially once they had embraced opposing political camps and Ching-ling dedicated herself to destroying her two sisters’ world. Big Sister, Little Sister, Red Sister is a gripping story of love, war, exile, intrigue, glamour and betrayal, which takes us on a monumental journey, from Canton to Hawaii and New York, from exiles’ quarters in Japan and Berlin to secret meeting rooms in Moscow, and from the compounds of the Communist elite in Beijing to the corridors of power in democratic Taiwan. 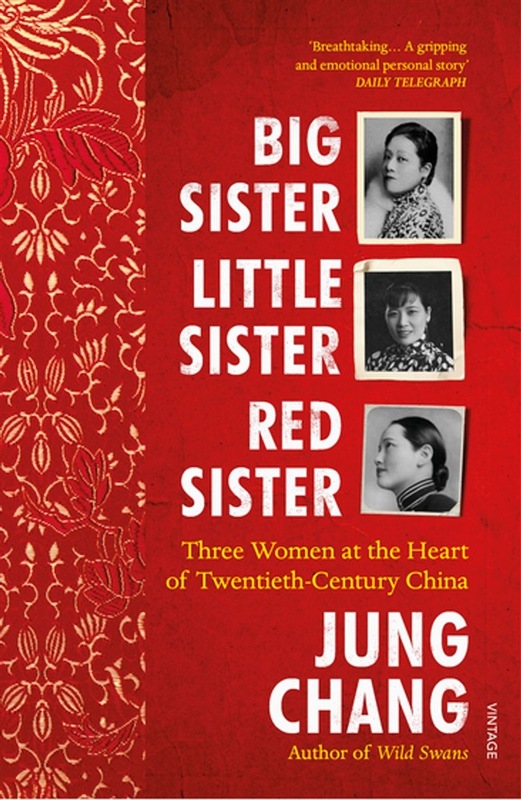 In a group biography that is by turns intimate and epic, Jung Chang reveals the lives of three extraordinary women who helped shape the history of twentieth-century China. 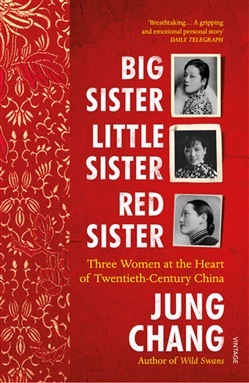 Acquista Big Sister, Little Sister, Red Sister in Epub: dopo aver letto l’ebook Big Sister, Little Sister, Red Sister di Jung Chang ti invitiamo a lasciarci una Recensione qui sotto: sarà utile agli utenti che non abbiano ancora letto questo libro e che vogliano avere delle opinioni altrui. L’opinione su di un libro è molto soggettiva e per questo leggere eventuali recensioni negative non ci dovrà frenare dall’acquisto, anzi dovrà spingerci ad acquistare il libro in fretta per poter dire la nostra ed eventualmente smentire quanto commentato da altri, contribuendo ad arricchire più possibile i commenti e dare sempre più spunti di confronto al pubblico online.